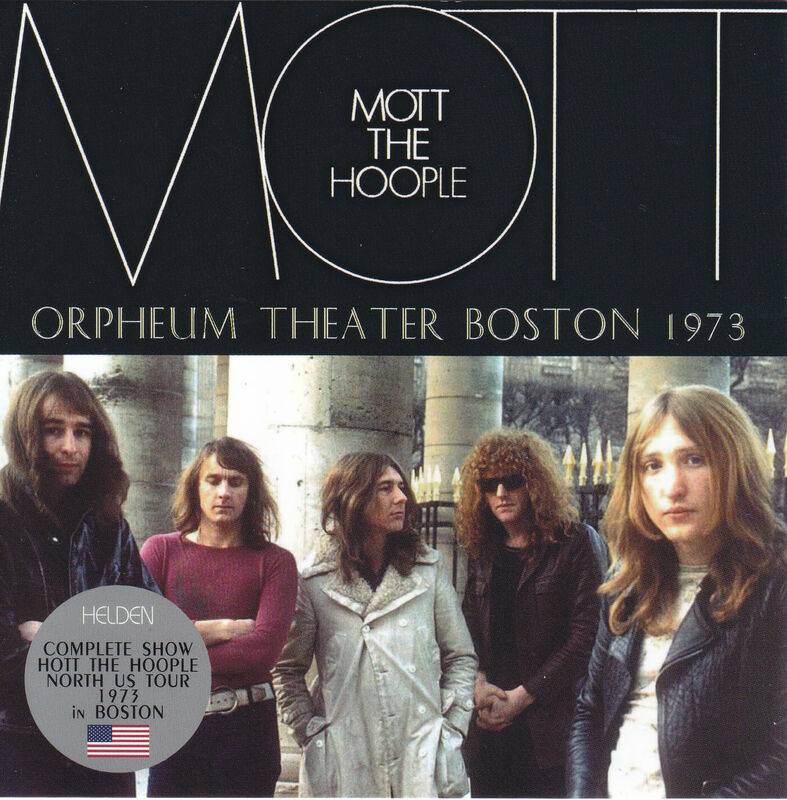 Mott the Hoople’s debut dates back to 1969. 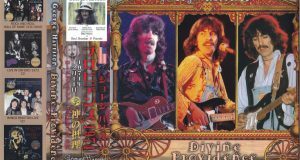 Disruptive live has become a reputation, and although it has had some cult fans, it has not achieved commercial success in terms of record sales, and it will be decided once in 1972. However, David Bowie, who heard the news, offered to provide and produce music, and the band was to continue. As a result, the biggest hit song “All Young Guys” is created, and the band will aim to resurface. However, the band continued to withdraw and join the members and did not become stable. As soon as 1973, Varden Allen withdrew, and he has no choice but to be forced to work with four. 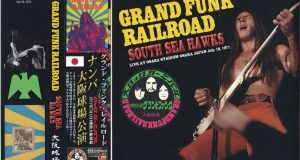 Mick Ralphs then left the band and formed a Bad Company. 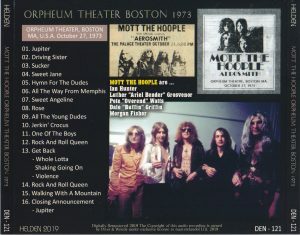 In the absence of a guitarist, there was no band, and after that Luther Grovner joined as a kettle, and Morgan Fischer and Mick Bolton joined in place of Allen, and the band finally became a five-member band. 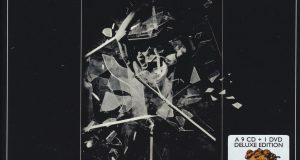 Morgan Fisher lives in Japan as of 2019. However, the following year Mick Bolton, Luther Grovenor, and even Ian Hunter will withdraw, and in 1974 they will finally be disbanded. 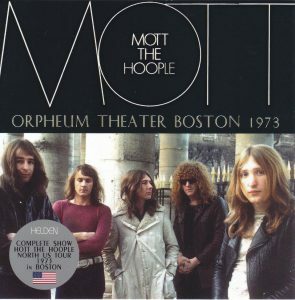 After that, although the remaining members changed the band name and continued, the activity as MOTT THE HOOPLE virtually closed in 1974. 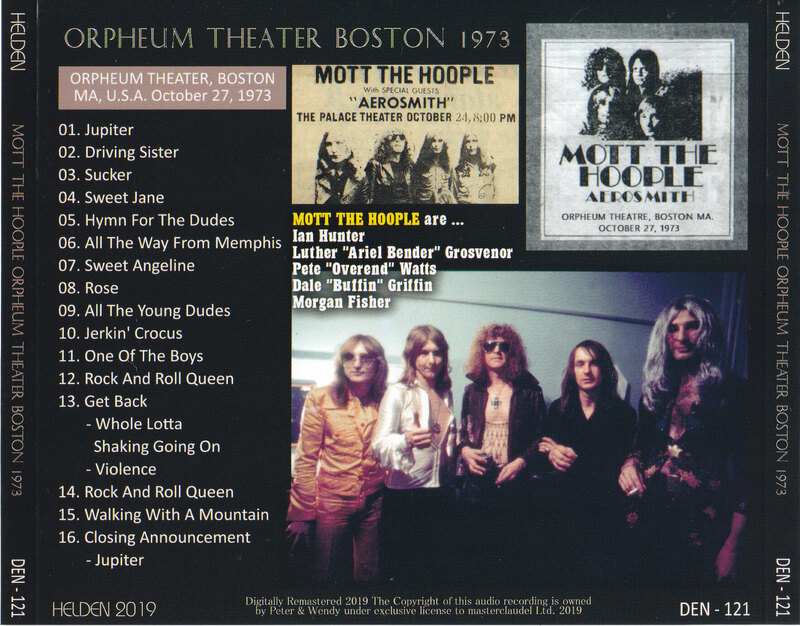 This work is a period of activity that is not so long, but Motto the Hoople, who has made a name for himself in the history of Glam Rock, is a complete high-quality live show in Boston on October 27, 1973. It is a recorded title.